What on earth could make squeezing up against grumpy Londoners every morning that bit more bearable? How about cruising over River Thames on the worlds largest solar bridge? 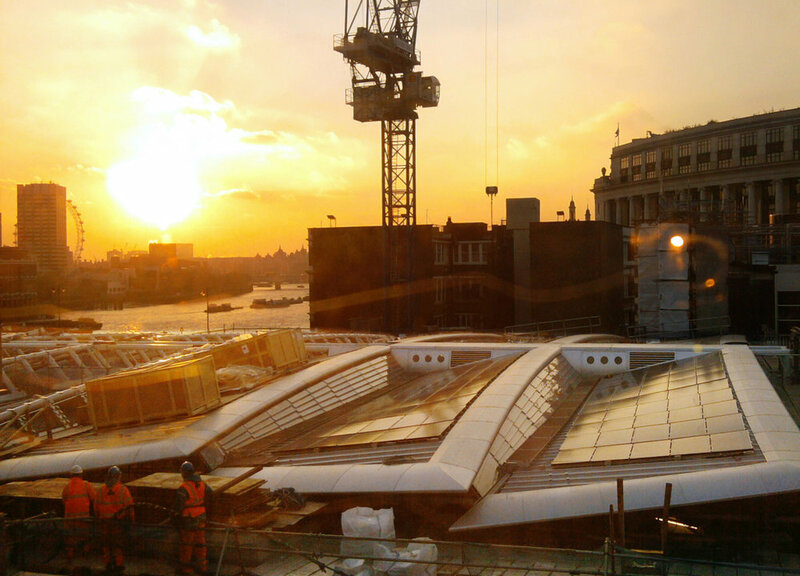 Since 2014, Blackfriars bridge has been home to 4,400 solar PV panels, installed by Solarcentury as part of a huge revamp of the landmark in the heart of London first constructed in 1886. The enormous rig - big enough to cover 23 tennis courts generates enough solar electricity to meet around 50% of the station's electricity needs. That's the same as powering 333 homes for a year. Network Rail is committed to reducing the carbon footprint of its operations. Not only does this install save 455,000kg of CO2 a year (equivalent to 89,000 car journeys) but it's also created a solar landmark in the middle of one of the world's most recognisable cities. Photos: Solar Century unless otherwise stated. Older PostRenewables just broke yet another UK energy record!